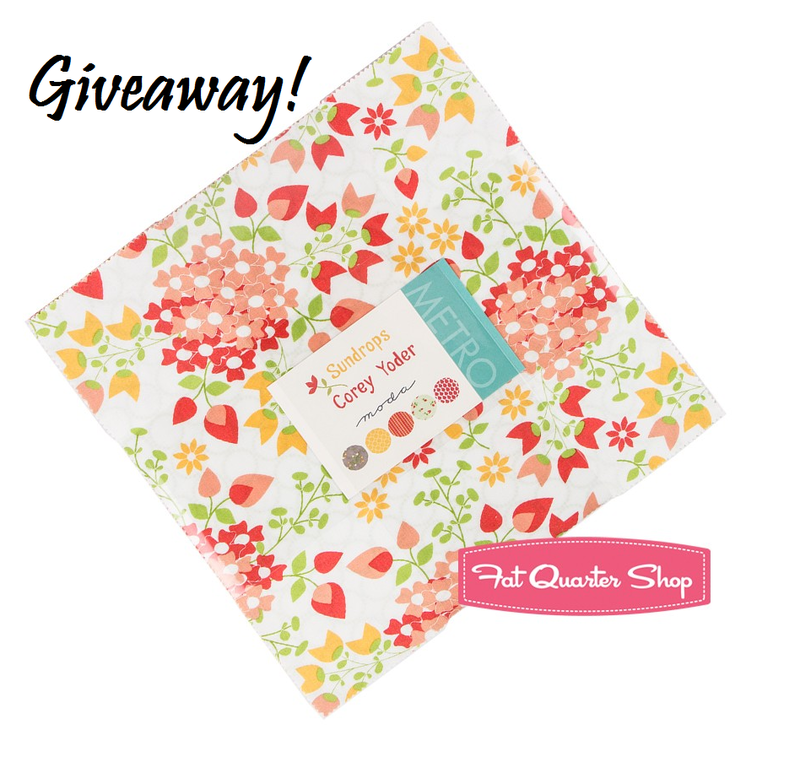 The wonderful Fat Quarter Shop has given me two Sundrops layer cakes by Corey Yoder to giveaway to two lucky winners (1 each). I can’t even tell you how much I love this line! The prints, the color palette! I love it all! If you love it too, leave a comment telling me what you would make with a layer cake of Sundrops. For more entries, visit my Instagram account, and find the giveaway post to find out how to enter there. Giveaway ends Thursday, Sept. 15, 2016. Thanks for the giveaway! I love this line and I just ordered Corey’s Maple Charm pattern! Thanks for doing a giveaway! Such cute fabric would be great to sew with!! Thanks again! Thanks for the giveaway opportunity. I’d make a quilt to be used as a summer picnic blanket. I’ve been meaning to make one all summer, but time ran away with me, once again! Ooooh I would make myself another wrap skirt like this. I have this great pattern for a backpack that is just screaming for that fabric:)! I’d make some placemats and potholders with this beautiful fabric. I’d make a quilt for my daughter! Great giveaway.. I would love to make a Maple Leaf Quilt with this fabric line. I would make a lovely lap quilt; thanks for the giveaway! use it for a zipper bag. 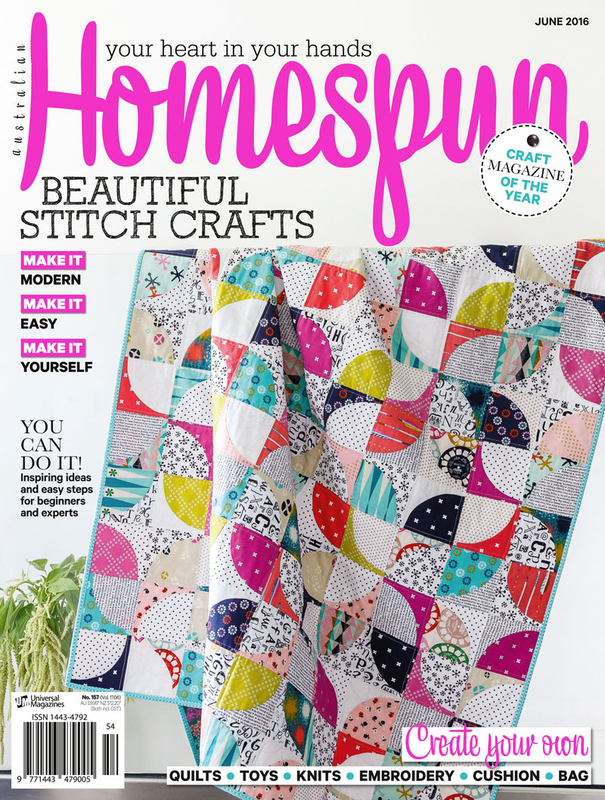 I love making Sampler quilts….love this fabric. Lovely fabrics – so sunny!! Would make a lovely lap quilt!! This would first go to my Raspberry Kiss Quilt and then be absorbed into various other projects. So pretty! I would make a disappearing nine patch with the lovely bundle. Thank you so much! Oh those colors and prints are gorgeous. If I won I would like to make some new kitchen accessories to brighten the place up. Or a picnic quilt, that would also be cute and useful. I have a crush on this fabric. I would love to look at it longingly and gaze into is eyes, if it had eyes. I like to make a flower gaden quilt something like fun in the sun! Beautiful fabric! I would make totes, and pencil cases with sewing illustration ideas from your new book. I think this would be gorgeous for a Snippets quilt! Thanks for the chance to win. I’m thinking of doing some appliqué on t-shirts for my granddaughters. This is so bright and lovely… just right for some inspiration. Thanks! I would make a special library tote bag for my daughter and me. I would make a fun summer quilt! Thank you. Fat Quarter Shop is awesome! Thanks for sharing with the giveaway. I am new to quilting but would love to make a stroller quilt and diaper bag for my coworker’s baby, due in December. The colours will be welcome that time of year! HELlO,these would be so beautiful in a new bed quilt>that’s what I’d make! Thank You for a great blog+giveaway ! I LOVE this line! Those colors -mmmmm. I’d probably make a Herringbone quilt with this. Thanks! The colors are yummy, so I think I would make a table runner for my kitchen table! I love the Sundrops line! It would go into a quilt, maybe the Medley Bouquet pattern. Thanks for the giveaway! This is too pretty and I will use them for a spring quilt if I’m the lucky winner! I need some bright cheery pillows to keep summer in my house this winter. This fabric would be perfect! Oh, gosh! Way to many things to contemplate. I found a pattern where you actually end up with three things from a layer cake. You first get a lap quilt, then with the cut-offs from that, you make a baby quilt. Then from the cut-offs of the baby quilt, you make a mini! It uses every last thread of a scrumptious layer cake! I’d love to make that. Thanks for the giveaway. I would love the layer cake so much. I could make a really nice lap quilt and a bag to hold my knitting projects. I love the prints in the layer cake!